<p><b>Shop Safavieh at Walmart. Save Money. Live Better.</b></p> <h2>Soho Rug Collection</h2> <h3>Metro-Chic Transitional Area Rugs</h3>The SoHo Collection of metro-chic transitional area rugs reflects the growing trend toward clean design in soft textural rugs that accentuate both traditional and contemporary d&eacute;cor. The incredible clarity of color you'll find in the striking designs and backgrounds of Soho carpets is achieved by using the finest, pure premium New Zealand wool and a fashion-forward color palette. The silky softness and vibrant tones found in the designs comes from accents of viscose that run through the brilliantly styled patterns. A decorator’s choice collection for a wide variety of d&eacute;cor. The SoHo Collection of metro-chic transitional area rugs reflects the growing trend toward clean design in soft textural rugs that accentuate both traditional and contemporary décor. The incredible clarity of color you'll find in the striking designs and backgrounds of Soho carpets is achieved by using the finest, pure premium New Zealand wool and a fashion-forward color palette. The silky softness and vibrant tones found in the designs comes from accents of viscose that run through the brilliantly styled patterns. A decorator’s choice collection for a wide variety of décor. The most beautiful runner ever. This runner it's most beautiful than what you can see in the picture. The color are very vibrant, it's hand made and very thick. I bought it 3 weeks ago and I love it more every day. Bought the rug to put in front of our stove. We liked so much, purchased another to put in front of the sink. 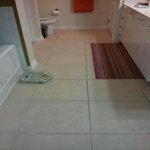 We just installed bamboo floor last year and wanted something that would not take away from the beauty of our floors. Love the color and modern look the rugs have brought to our kitchen. Excellent quality, easy to vacuum. Feels and looks like a really expensive rug and paid a minimal price. 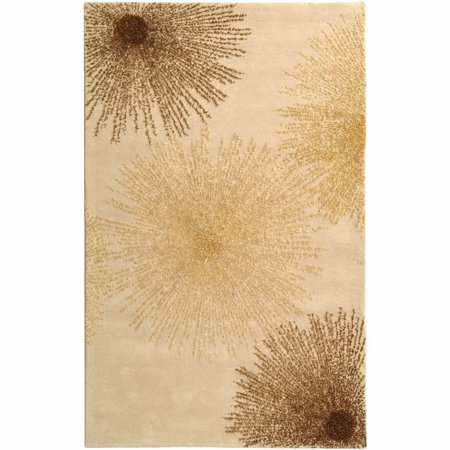 Do not hesitate to order this rug..it is a show stopper...I got the 2x3 size to put in my foyer as a "doormat"..I must say I would not use this in front of a door with lots of traffic as it is wool and cannot be thrown in the washer..the detail work on this rug is beautiful and as usual a Safavieh rug is well made. Love this rug! Thick, beautifully made, soft and cushiony on the feet. The only drawback it is not really blue. It is more a pale slate grey. It's ok because my theme is neutrals but it is not pale blue. It's a nice rug, great colors for combining with my walnut and brass pieces. The raised ribbon-like fibers on the starbursts are unusual. A few of them have fallen out within the first week of use. The rug is actually darker than what the picture shows, which is unfortunate given I was hoping for something lighter for the room I put it in. Still pretty though. And thicker/heavier than I expected, which is a plus. Not for people with kids or animals. 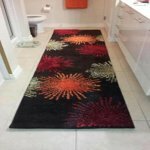 It's a beautiful rug and absolutely love it, but not good for high traffic areas. The little ribbons that run through it to make the bursts, come out very easily. I have it in my dining room and it works fine and it's just me and my husband, but people with kids and animals, would not want this rug. 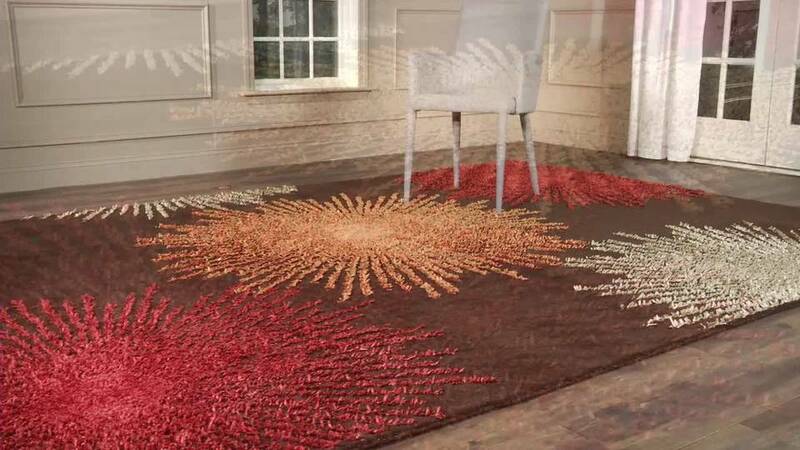 The rug is stunning--very bright and the 3D star bursts are eye-catching. However, I've had the rug only a few days in a light traffic area and 25 of the ribbons (that's what makes the star bursts) have already come out of it! It may be that these were "extra" ribbons and that at some point all the loose ones will be gone. Their loss has not effected the look of the rug yet, but if they continue to fall out, it will have to be returned.